The Wisconsin Library Association is accepting applications and nomiations for WLA Awards for 2018, so you can nominate innovative and exceptional library services, staff, trustees, and supporters in Wisconsin. Winners will be honored at the 2018 WLA Conference during the Awards and Honors Reception. Go to WLS's Awards & Honors page for details, criteria, forms, and instructions to apply. Applications are due September 1, 2018. Citation of Merit: Conferred upon Wisconsin citizens who are neither librarians nor library trustees, who have made outstanding contributions to quality library services. 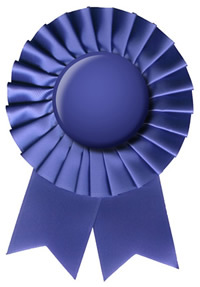 This award may be given to a group of people or an individual. Library of the Year Award: Presented to any type of Wisconsin library, library system or library network for distinguished achievement in service. The staff, library board or administering body, and the community or people served shall all be involved in the work for which recognition is sought. WLA/DEMCO Librarian of the Year Award: In recognition of a librarian's outstanding leadership and accomplishment in library service. The librarian must be currently employed, at the time of selection, in any field of librarianship in Wisconsin and must be a current member of the WLA. Trustee of the Year Award: Conferred upon an outstanding Wisconsin library trustee. The trustee must be in actual service during all or part of the year in which he or she is honored. SSCS Paralibrarian Award: The Wisconsin Library Association’s Support Staff and Circulation Services (SSCS) Paralibrarian of the Year Award recognizes the essential role of paralibrarians (a.k.a. paraprofessionals), including all library support staff who do not currently have an MLIS, in providing excellent library service in Wisconsin. This award places special emphasis on efforts to further the role of paralibrarians and library support staff in the library profession. The Muriel Fuller Award: Conferred upon a library professional or paraprofessional in recognition of outstanding accomplishments which have significantly improved and benefited library services. Programming Innovation Award: Presented in recognition of programming leadership in providing innovative and excellent library programming in Wisconsin libraries. Nominated programs may be stand-alone programs, series, passive or cooperative. Programs for all age groups are eligible. Special Service Award: Presented to a group of people or an individual for noteworthy achievement as evidenced by substantial activities and exceptional service to the library profession. The Wisconsin recipient or recipients shall have influence and reputation beyond the local community. Wisconsin Distinguished Document Award: Presented to an excellent Wisconsin state or local government document that contributes significantly to the expansion of knowledge and the understanding of government agencies, among other criteria. Literary Awards: The Literary Awards Committee of the Readers' Section selects outstanding books by Wisconsin-connected authors: the WLA Literary Award, Outstanding Books of the Year, and Notable Wisconsin Authors. WLA/WEMTA Intellectual Freedom Award: Administered by the WLA/WEMTA Intellectual Freedom Award Committee, with funding from TeachingBooks.net and the Center for Information Policy Research and the School of Information Studies, University of Wisconsin-Milwaukee. Recognizes the contribution of an individual or group who has actively promoted intellectual freedom in Wisconsin. Elizabeth Burr/Worzalla Award and Children's Book Awards: The Children's Book Awards Committee of the WLA Youth Services Section selects outstanding books for youth by Wisconsin-connected authors: the Elizabeth Burr/Worzalla Award, Outstanding Books of the Year, and Notable Wisconsin Authors/Illustrators. WAAL Information Literacy Award: Presented to an individual or group activity that promotes effective instruction, learning and/or collaboration relating to the Wisconsin Association of Academic Librarians (WAAL) information literacy competencies.